This website deals with the electric and magnetic fields produced by the use of electricity including the electricity transmission and distribution systems - power lines, substations etc. 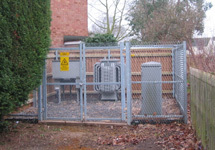 We recognise that people often have other questions about power lines and substations. We can't provide detailed or authoritative answers to these non-EMF questions but we provide some pointers here to where you can find out more. 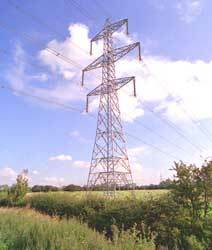 Wayleaves and easements - what are the legal agreements that allow power lines to be present on private land? Safety clearance distances - how close is it safe to get to an overhead line? Are there activities it's not safe to do close to a power line? "Danger of death" notices - does this mean pylons and substations are unsafe? Audible noise - should power lines and substations produce noise? GPS - do power lines interfere with Global Positioning Systems? TV and radio interference - should a power line interfere with TV and radio? For any general questions to National Grid about tree cutting, payments, contracts, billing etc. follow this link. For any enquiries about distribution equipment, contact your local Distribution Network Operator.